See our archive and language editions on your mobile! Progress Pellet Mill Low maintenance pelleting PTN’s Pellet Mills enable you to press every type of feed in every desired capacity. A long lifespan on the die and rollers, a long lifespan of the main shaft bearings and crucial parts that are easily cleanable are just a small summary of all the maintenance advantages of the PTN Pellet Mills. Maximize capacity, conditioning, and control. WENGER’S AQUAFLEX XT HIGH CAPACITY EXTRUDER When maximum volume matters, the Wenger AQUAFLEX XT High Capacity Aquafeed Extruder is the choice, processing up to 12,000 kg/hour. Equipped with either our High Shear Conditioner (HSC) or High Intensity Preconditioner (HIP), the AQUAFLEX XT is ideal for aquatic feeds as small as 0.5 mm. Precise control of finished product density delivers either high capacity floating or sinking feeds. Know more about the industry-changing designs and customized options of AQUAFLEX. Email us at info@wenger.com today. When it Comes to Aquafeed Production Carefully Choose Who You Partner With for Equipment Solutions MAX. In a study conducted at Cairo University *, Hilyses® demonstrated its efficiency on zootechnical indexes, showing a drastic reduction of the mortality rate of Nile tilapia (O. nicoticus) challenged with Aeromonas hydrophila. The University of Limerick (UL) is a rapidly growing, modern university. UL is a young, energetic and enterprising university with a proud record of innovation in education, and excellence in research and scholarship. We take great pride in attracting students who are seeking a supportive learning environment to help nurture and achieve their personal and professional dreams. UL is highly regarded for conducting leading-edge research in key areas such as biological sciences, information and communication technologies, materials and surface science, environment & bioengineering and humanities & social sciences. Limerick is in western Ireland, an ideal starting point to explore the Wild Atlantic Way. Shannon International airport is only 24km away with frequent bus connections. Limerick, with an urban and hinterland population of over 200,000, has something to offer everybody thanks to its many cultural, historical, architectural, sporting, shopping and business activities. With almost 50 per cent of Limerick’s population under the age of 30, it is a vibrant, living, cosmopolitan city. BĂźhler â&#x20AC;&#x201C; gentle processing at its best. From raw material handling, cooking and shaping through extrusion to drying and coating of finished products. With an extensive know-how and a passion for quality we ensure product uniformity, production efficiency, and maximum sanitation and safety. Complete solutions from a single source. 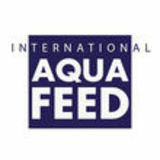 Aqua Feed. Wynveen Vacuum Coaters Due to the unique “Tulip body” the Wynveen Vacuum Coater is very hygienic, no residue build-up to the sides walls will occur. The double shaft principle ensures an ideal fluid zone for optimum addition of liquids to the main product. Animals need to eat well to grow. But they will not eat what they do not like, no matter how much you try. That is why Phileo created Prosaf®, a highly palatable source of bioactive peptides, free amino acids and nucleotides to boost growth, performance and resistance, especially in young animals, and better value plant-based diets. Save your explanations and give them a balanced diet they will really love. HardRIB The single most important factor for a boat is its seakeeping abilities. 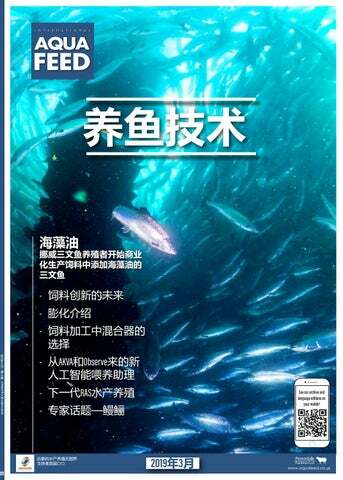 That is why we have put enormous effort into the design of the hull of the HardRIB. Full control even at high speed, low fuel consumption, near indestructibility and fantastic seakeeping ability is a benefit for all users. The various equipment options ensure that you can customize the boat for your use without compromising any of the above attributes. The hull is developed in collaboration with Ola Lilloe Olsen and tested in Stadt Towing tank. So, whether you are a fish farmer, a diver or simply a boat enthusiast, this is the right choice for you. The premier conference on recirculating aquaculture systems is back and it’s bigger! Formerly the International Conference on Recirculating Aquaculture (ICRA), RAStech 2019 is the venue for learning, networking and knowledge sharing on RAS technologies, design and implementations across the world. AQUACULTURE WITHOUT FRONTIERS (UK) Aquaculture Without Frontiers (AwF) is a Charitable Incorporated Organisation (CIO) that promotes and supports responsible and sustainable aquaculture and the alleviation of poverty by improving livelihoods in developing countries. THE INTERNATIONAL EXHIBITION FOR ANIMAL PRODUCTION More than 1.400 exhibitors in 11 halls and 250 booths outdoors. More than 100.000 trade visitors, including 14.000 international from 121 countries. An exhibit area of 16 Ha. 100 conferences over 4 days. > HIGH TEMPERATURE OF 40℃~130℃ FOR ADJUSTABLE. >IT HAS COMPACT SIZE,WHICH REQUIRES MINIMUM SPACE. All great ideas start with a dialogue. What’s your ambition? We at van Aarsen believe that sharing know-how and co-creation are essential in ﬁnding the perfect ﬁt. Whether you are looking to modernize or expand your aqua feed production, want to replace aging machinery with future-proof innovations, or need advice in the planning and setup of a completely new aqua feed mill, Van Aarsen is the knowledge partner for you.